When it comes to collecting modern day inserts, 98% of the stuff produced by Topps and Panini doesn't appeal to me. But every year there's one cheap, mass produced insert set I actually pay attention to and actively seek. 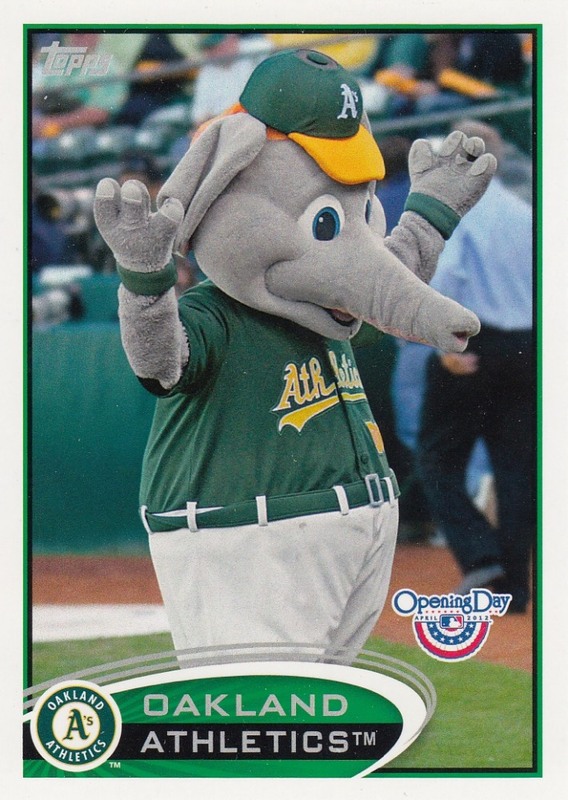 It's the Topps Opening Day Mascots. Stomper made his first appearance as the Oakland Athletics' mascot on April 2nd, 1997 and ten years later he made his first appearance in a Topps Opening Day set. 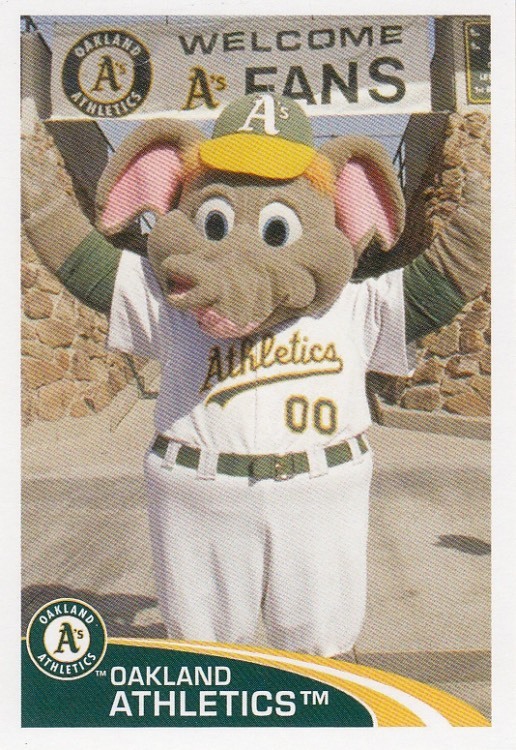 That year the mascots were part of the base set. 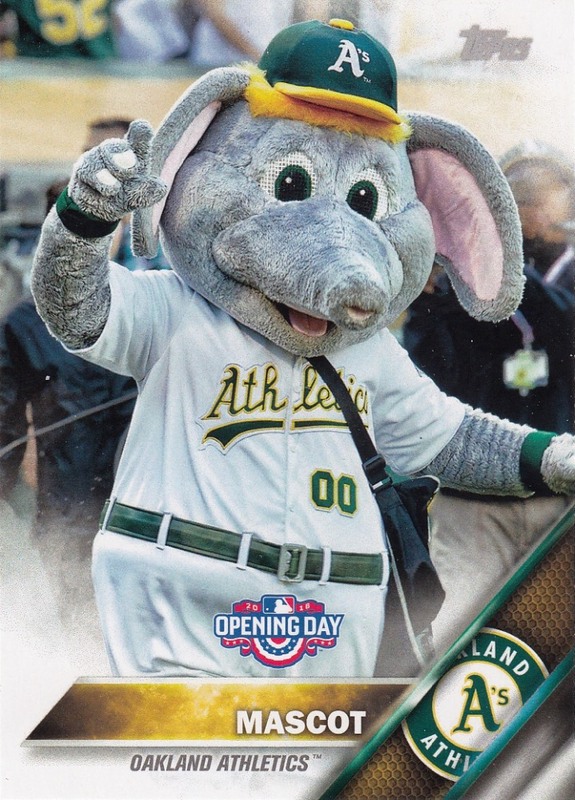 Since 2010, Topps has made the mascots part of their Opening Day insert sets. 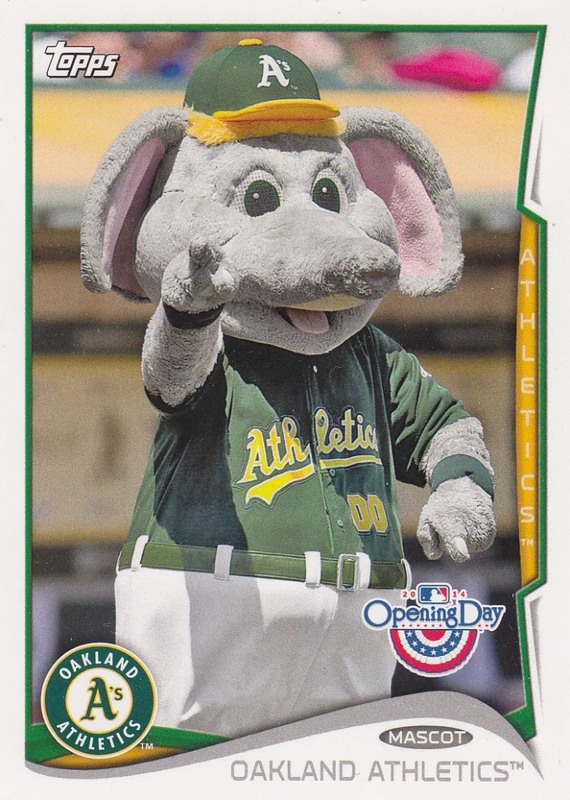 Stomper has been included in every year from 2010 to 2019, except 2015 and 2018. 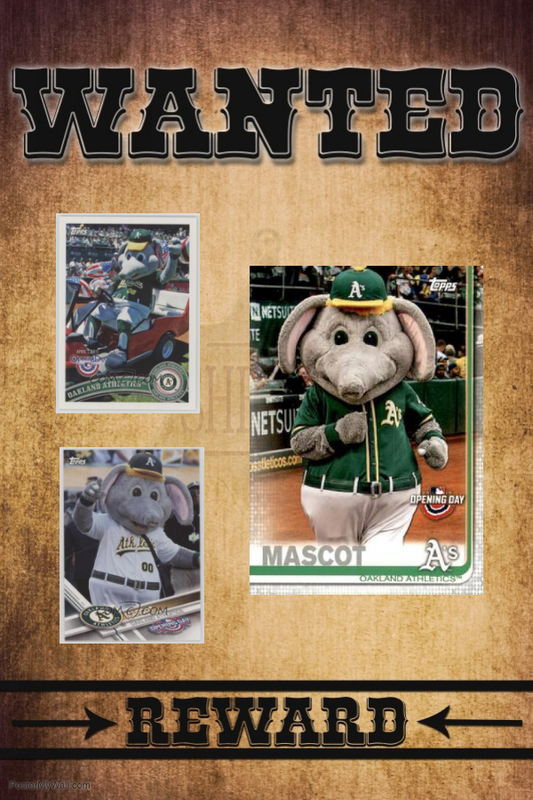 I'm sure there are more cards and stickers of Stomper out there. If anyone has any laying around, I'd be more than happy to adopt them. Well that's it for today. Hope you guys have a great week. Happy Monday and sayonara! 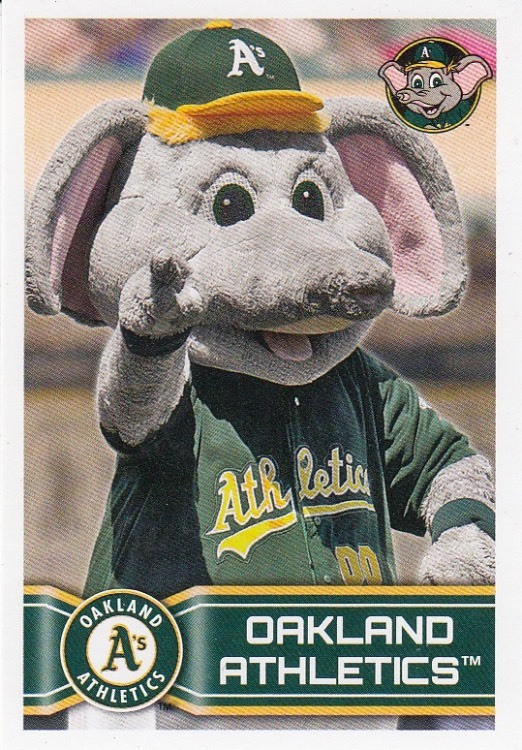 Gotta love mascot cards. Good luck tracking down the ones you need. Have you ever had an interaction with Stomper at a game? A hug or high-five, perhaps? I enjoy ballpark mascots and I cannot lie. I'd really miss Orbit at Astros games if he wasn't there. He has some very clever riffs. 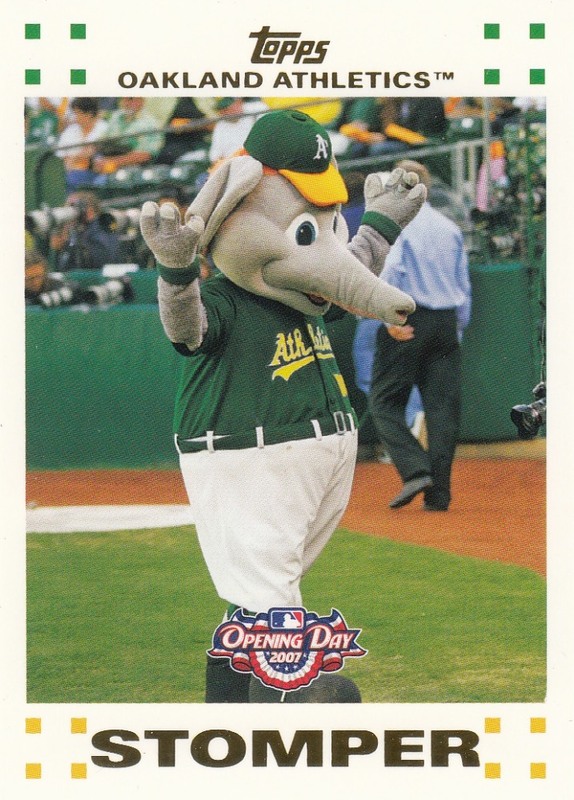 Stomper looks like fun, too. I'll check but the odds of me having one of the cards you need are pretty low. Awesome. That is quite a Stomper mascot collection! The Japanese have some crazy mascots too! I might already have one of those in the box that I will eventually sort out for bloggers, but in the meanwhile, if I see them i will get them. cross the 2011 off of your wanted list. I'm looking to add one card of each mascot for my Folder of Fun project. Can't wait to hunt them down! I'll keep my eyes out for the Stompers picture above. 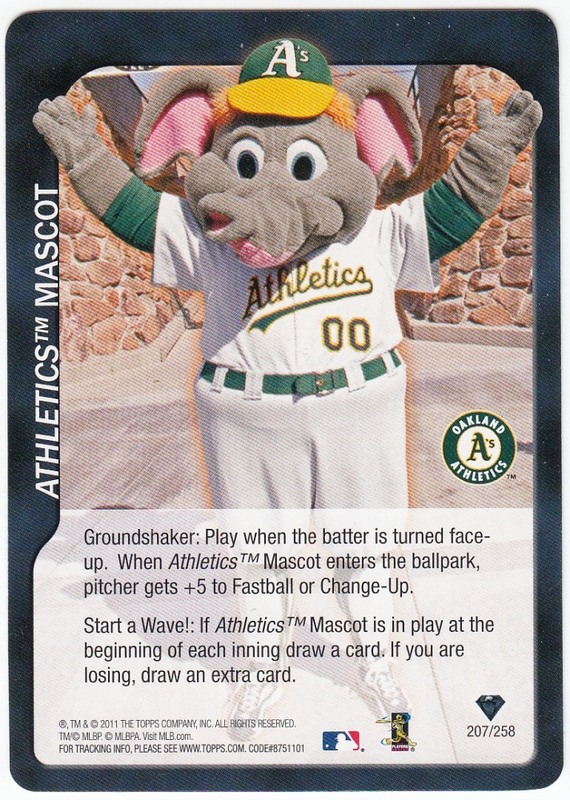 Mascot cards are fun. Lou Seal hasn't been in one for over a decade. 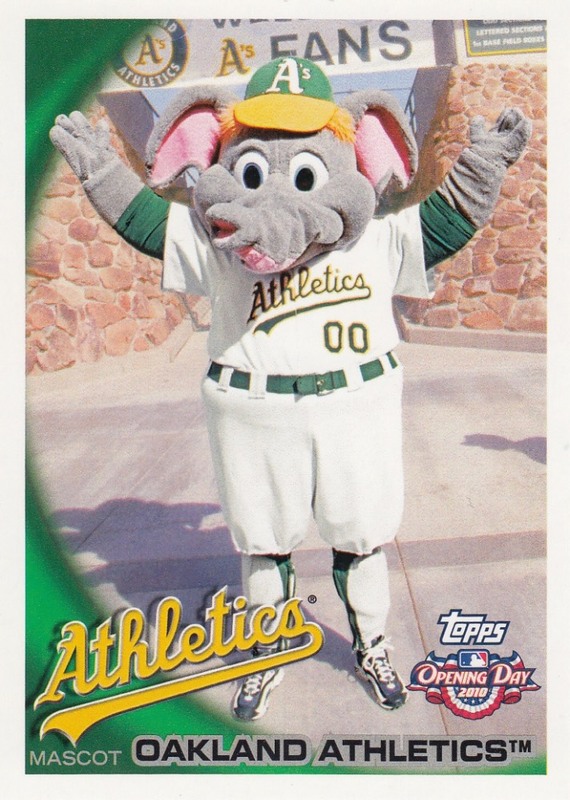 Also I'm amazed that Archives hasn't done old mascots (I'd kill for a Crazy Crab card). This seems like a fun endeavor. defgav - great question. he's definitely come into my section a few times, but I don't think I've ever received a hug or a high-five. I have met krazy george and taken a picture with him. 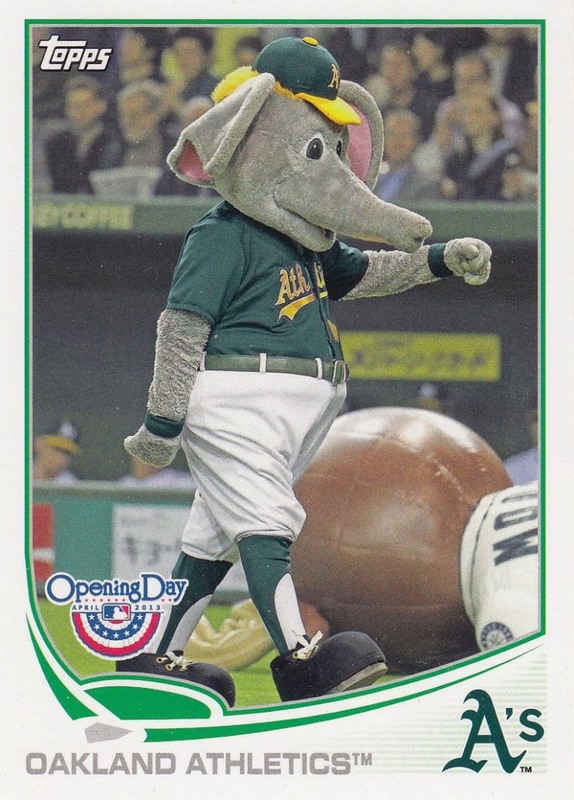 sumomenkoman - i have a ton of the japanese mascot cards. in fact, i want to say that i have an entire bbm set dedicated to the mascots. john miller - oh man... thank you so much. truly appreciate it. steve at 1975baseballcards.com - if i pull a mariner moose, it's yours. mascots reside inside my fun binder. such a great part of the game atmosphere. must be a fun job too! All the antics - you can get by with SOOOOO much!